Here’s what’s happening in the world of television for Tuesday, November 28. All times are Eastern. 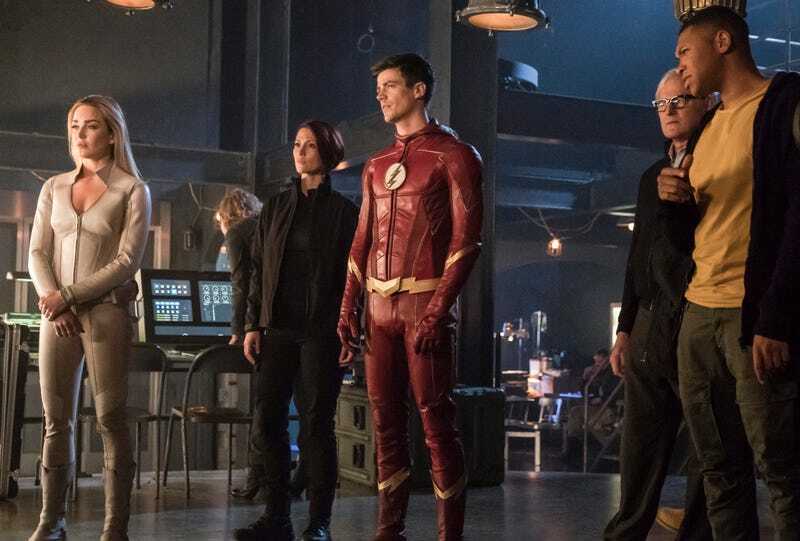 The Flash (The CW, 8 p.m.)/DC’s Legends Of Tomorrow (The CW, 9 p.m.), “Crisis On Earth-X, Parts 3 And 4”: The conclusion to the rudest “speak now” interruption in the history of TV weddings slams into your Tuesday night, as the heroes of Supergirl and Arrow join their Flash and Legends Of Tomorrow colleagues to beat back the threat from Earth-X once and for all. Inspired by that show of synergistic bravery, Scott Von Doviak and Oliver Sava band together to see this fight through to the finish. Drunk History Christmas (Comedy Central, 10 p.m.): Derek Waters and his sozzled band of storytellers arrive at your door with a freshly brewed batch of seasonal lore. Craig Anstett paints a picture of Rob Corddry crossing the Delaware, Phil Hendrie and Colin Hanks give you another reason to skip The Man Who Invented Christmas, and Rich Fulcher tells the tale of the White House moppets who saved the holiday. So pour yourself an egg nog, and when you’re done with that (and the episode), follow it up with a tall glass of recap from Kayla Kumari Upadhyaya.